To start with, the most basic requirement for a trip to Thailand is a passport still valid for at least six months, counting from the date of arrival in the Kingdom. So if you’re planning a holiday in Thailand and the expiry date of your passport should be within the next six months, please apply for a new passport a.s.a.p. Secondly, do not overstay your visa in Thailand. If your overstay is just a couple of days you’ll probably get away with just paying a fine of a few thousand Baht at the airport, but we definitely wouldn’t advise you to take an unnecessary risk. Instead, do always check the expiry date of your current visa and your relevant entry stamp (“admitted until”). If you make it to the airport or a land border checkpoint while on an overstay, the fine is only a negligible 500 Baht per day (maximum fine 20,000 Baht). If you should get apprehended, however, without a valid visa while you’re still in the country, for example, if you get stopped at a police checkpoint, you’d be considered an illegal immigrant, face jail, harsh fines – and ultimately deportation. Simply not worth it. Please note that starting from March 20, 2016, foreigners who overstay their visa may also get blacklisted and banned from re-entering the kingdom for 1-10 years! Stay in Thailand Longer Than 30 Days? Foreign visitors from most Western countries who wish to stay in Thailand for a period not exceeding 30 days at a time and for “tourism purposes” only do not require a visa to enter Thailand. All they need is a passport valid for at least six months. Nationals of currently 19 countries, including China and India, may apply for a 15-day visa on arrival. A Non-immigrant “O” (dependent) visa is also available, for example, for spouses and children of holders of a Non-Immigrant “B” visa, or people who have children with a Thai partner and can produce the (original) birth certificate. Other types of Non-Immigrant visas include, e.g., investment and diplomatic visa. Foreign visitors who meet “visa exemption” requirements and wish to stay in Thailand for a period not exceeding 30 days and for “tourism purposes” only (!) do not require a visa to enter the kingdom. All they need is a passport valid for at least six more months. This permission of stay has only little in common with a regular visa. In fact, it’s not a visa at all. “Visa exemption” simply means that eligible foreigners shall be granted a permission of stay of usually 30 days without having to apply for a visa prior to their entry into the kingdom. Upon arrival at a Thai immigration checkpoint, you’ll simply have an entry stamp (not a regular visa) stamped onto a page of your passport. This little square stamp displays both the “date of arrival” and an “admitted until” field, showing the date when you are due to leave. This visa-exempt entry stamp (sometimes wrongly referred to as “tourist visa” or “visa on arrival”) is free of charge. The permitted duration of stay is up to 30 days (for nationals of most countries). Tourists arriving via international airports receive a 30-day entry stamp, while visitors from most Western countries arriving in Thailand via land border checkpoints will be granted only a 15-day permission of stay. The only official requirement is an onward flight ticket as proof of your intention to leave Thailand again. Therefore, traveling to Thailand with a one-way ticket cannot be recommended. 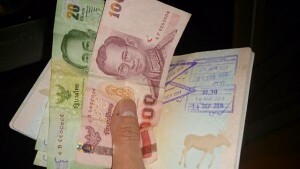 While this regulation is occasionally being enforced (and some airlines might refuse to let you board a plane to Thailand unless you have a return ticket) it is usually taken for granted that tourists arriving in Thailand have adequate financial means to cover their expenses in the country (10,000 Baht a person or 20,000 Baht per family, as officially required). Employment is strictly prohibited, and work permits cannot be applied for. If you intend to work in Thailand legally or conduct a business you will need to obtain a non-immigrant visa “B”. Note: Other than tourists from most Western countries, visitors from China, India, Taiwan, Ukraine, and more than a dozen other countries, do need a visa to enter Thailand. If they wish to stay in the kingdom for a period not exceeding 15 days, however, they can simply apply for a visa on arrival (which is liable to fees) upon arrival at Suvarnabhumi Airport or any other Thai border checkpoint. From August 12, 2014, out/in “border runs” are pretty much a thing of the past. Foreign tourists without a regular visa, immigration officials warned then, should no longer be permitted to continuously exit and re-enter the kingdom via a land border or any other border checkpoint in order to extend their visa-free stay by another 15 or 30 days. Effective from late 2008, tourists from most countries who have not obtained a visa prior to their visit to Thailand but meet “visa exemption” requirements and arrive via a land border checkpoint (Cambodia, Laos, Burma etc.) will also be granted only a 15-day permission of stay, not 30 days as previously. While Russian citizens have always been exempt from this rule change, in November 2013, it has also been relaxed for nationals of Canada, France, Germany, Italy, Japan, the UK and the United States. Citizens of the aforementioned countries will now again receive 30-day entry stamps when arriving in Thailand via a land border checkpoint. Note: Foreigners arriving via international airports are not affected by these rules. Tourists from the countries listed below may enter Thailand without a visa (“visa exemption”) for a maximum stay of 30 days and for tourism purposes only, or may apply for a “visa on arrival” at a Thai border checkpoint (15 days permission of stay) excluding land border checkpoints along the Thai-Cambodian border. Visitors from a number of countries will be granted entry stamps for 90 days at international airports (though not necessarily at land border checkpoints). Unless you’re over 50, married to a Thai or want to work in the kingdom, it’s certainly never been easy to obtain a proper “long stay” visa that allows you to stay in Thailand for longer than just a couple of weeks. Please scroll a bit further down for your currently best visa options if you wish to stay in Thailand for longer than just a month or two and aren’t eligible for a non-immigrant visa of either type. Effective from late 2008, tourists from most countries who have not obtained a visa prior to their visit to Thailand but meet “visa exemption” requirements and arrive via a land border checkpoint (Cambodia, Laos, Burma etc.) will be granted only a 15-day permission of stay, not 30 days as previously. Nationals of Canada, France, Germany, Italy, Japan, Russia, the United Kingdom and the United States are exempt from this rule and continue to receive 30-day entry stamps when arriving in Thailand via a land border checkpoint. Foreigners arriving via international airports are not be affected by this rule. In August 2014, Thai immigration announced that foreign tourists and expats in Thailand should no longer be allowed to continuously exit and re-enter the kingdom via a land border crossing or any other border checkpoint (including airports) in order to gain another 30- or 15-day stay in Thailand (visa exemption). It looks like these rules are being more strictly enforced since September 12, 2015, and visitors are allowed to stay in the kingdom on visa exempt entries for no longer than 90 days in a calendar year. 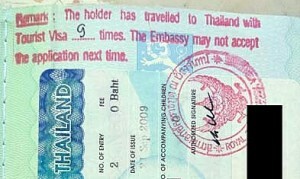 If you haven’t obtained a visa prior to your visit to Thailand but wish to stay longer than just for a holiday, then out/in visa runs are no longer a viable option to extend your stay in the kingdom but you’re advised to apply for a tourist visa at your local Thai embassy or consulate in advance. If you wish to further extend your holidays in Thailand by applying for a 60-day tourist visa, please also note that in 2009, Thai immigration have announced a new crackdown on back-to-back tourist visa applications. It currently remains uncertain how many back-to-back applications will be approved by individual consulates or the same consulate. Since the November 2015 launch of the new multiple-entry tourist visa (METV) which can be applied for only in the applicant’s home country, double-entry tourist visa have been abolished. With only single-entry visa available now for foreign applicants in the SEA region – and so the requirement for more frequent visa runs – chances that back-to-back applicants may sooner or later get rejected have obviously risen considerably. If you should decide to stay longer in Thailand than 30 days and have not applied for a regular visa in advance, you can now extend your 30-day visa-exempt stay in Thailand by a further 30 days, not just seven days as previously. All you need to do is visit your local immigration office after your first 30 days have expired and apply for a 30-day extension at a fee of 1,900 Baht; effectively giving you 60 days of stay without having to apply for a visa. 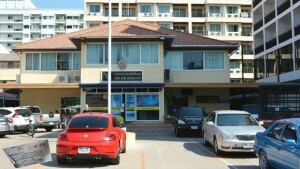 In Pattaya, the local immigration office is situated on Soi 5 in Jomtien, approx. 200 metres off Jomtien Beach Road. Documents required to extend your visa-exempt stay for an additional 30 days include a fully-filled extension form (TM. 7) that you’ll get at the counter of the immigration office, a copy of your passport and a passport photo. You will most likely also have to confirm your address and fill the controversial new information form. They may (though less likely) also ask you for a confirmed flight ticket out of the country, and possibly proof of sufficient funds. If you cannot produce an airline ticket out of Thailand within 30 days, they may give you only a 7-day extension as previously (at the same fee of 1,900 Baht) and you have to leave the country within a week. 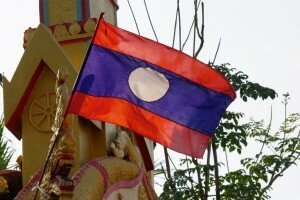 Another popular option is a so-called visa run, either to the nearby Cambodian border (i.e. if you’re based in Pattaya or Bangkok) where you may get another 15-day or 30-day entry stamp, or a brief trip to one of the neighbouring countries where you can apply for a regular tourist visa or a Non-Immigrant visa of either type. Otherwise, if you simply exit and re-enter Thailand via an international airport (i.e. without applying for a visa at an embassy or consulate) you will still obtain a 30-day entry stamp upon arrival in Thailand. One-day “visa runs” to the nearby Cambodian border (usually Chantaburi province) have been popular with both tourists and foreign residents of Pattaya for many years. Border runs can be booked at dozens of travel agencies around Pattaya at rates between roughly 2,000 and 3,00 Baht. These prices include the visa fees for Cambodia, visa assistance at the border, and transportation by minivan from Pattaya to the Cambodian border and back. Depending on the package you choose, breakfast and/or lunch may also be included. The total duration of these organized “visa runs” to the border is roughly between 8 and 10 hours, depending on traffic, weather and how busy it is at the border. 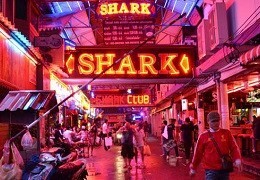 Most tour operators leave from Pattaya at around 6 a.m. or 7 a.m. and will be back in Pattaya in the afternoon. Some will pick you up at your hotel or condominium, while others have central meeting points from where they depart. There are a couple of drawbacks though: The enforcement of the 15-day rule, which now applies to many foreigners who arrive in Thailand via a land border checkpoint, renders “visa runs” rather inefficient. Also, from August 12, 2014, foreign visitors were advised that it was no longer possible to continuously exit and re-enter the kingdom via a land border checkpoint in order to extend their visa-free stay in Thailand (visa exemption). It looks like these rules are being more strictly enforced since September 12, 2015, and visitors are allowed to stay in the kingdom on visa exempt entries for no longer than 90 days in a calendar year. If you haven’t obtained a visa prior to your visit to Thailand but wish to stay in the kingdom longer than just for a month or two you’re advised to apply for a tourist visa or an appropriate type of long-stay visa at a Thai consulate abroad. If you travel with a multiple-entry tourist or non-immigrant visa of either type, these regulations will obviously not affect you, and you will still be granted an additional 60-day respectively 90-day permission of stay upon re-entry into the kingdom, i.e. provided your visa is still valid and has not been fully used. visit a neighbouring country such as Cambodia, Laos or Malaysia, and apply for a regular tourist visa or a Non-Immigrant visa at a Royal Thai Embassy or Consulate. So what’s the most convenient and inexpensive solution for under-50 long-stayers who are neither married to a Thai national nor want to work in the kingdom? If you wish to stay in Pattaya for an “extended” period of time, a basic requirement is a proper visa issued at a Thai consulate preferably in your home country or country of residence. If you are in Thailand already and don’t want to leave the region, a “visa run” to a nearby Southeast Asian country like Cambodia, Laos or Malaysia will most likely also do the job. Just where should you go? To start with, the Thai embassy in Phnom Phen (Cambodia) has a relatively bad reputation, at least when it comes to issuing tourist visas, and the formerly popular consulate in Georgetown (on the Malaysian island of Penang) reportedly only issues single-entry tourist visas now – restricted to three consecutive applications, after which they may place a red stamp on your last visa stating that future applications will get refused. While the consulates in Kuala Lumpur (Malaysia) and Singapore have a relatively good reputation – but imply more expensive travel costs -, the embassy in Manila on the Philippines should be completely avoided. At the moment, there seem to be only little problems with obtaining back-to-back tourist visas at the Thai consulate in Vientiane (Lao PDR). Applicants with “too many” consecutive tourist visa stickers in their passports may, however, have a red warning stamp put on their latest visa, indicating that future applications may not get accepted, or simply have their application rejected. As it seems, their current limit is three consecutive tourist visa applications (after which you’re obviously still free to apply for another visa elsewhere in the region). Foreign visitors have been advised to apply for a Non-Immigrant visa of either kind instead of “living” (and possibly working) in the kingdom as “professional tourists”. If you’re not 50 years of age yet, neither married to a Thai nor plan to work in the kingdom, an ED visa (“student visa”) available for, e.g., foreign Thai language students, may currently still be the easiest option, at least for a year or two. Will a 30 day extension on a visa exemption start as soon as it is issued thus cancelling out any days that may be left of the original 30 days granted on entry into Thailand? I want to extend but not lose any of my original 30 days. As far as I know you will NOT lose any days of the original 30 days but I think you can apply for the extension only seven days in advance at most. Yes, when you enter Thailand your passport must be valid for at least six months. That’s not the case with your passport, so you better get a new passport a.s.a.p. or might not be allowed to enter Thailand. Not heard about this yet. What’s your source? Hi I’m from Lithuania and I’m allowed 15 days stay on a visa on a arrival.. do you know if I can extend my visa at a immigration office whilst in Thailand? I’m not 100% sure but think you can extend once for 7 days. Best is you check with immigration once you’re in Thailand. Alternatively you could do a border run and get another 15-day visa on arrival. Yes, unless you’ve already had “too many” visa exemption stamps in your passport you will not have a problem and get another 30 days. Just please note that when you enter via a land border crossing you can only get two visa-exempt entries per calendar year now. If you fly back into Thailand this new rule shouldn’t concern you though. My last trip to Thailand was in February 16 but this year I’m planing to get fly to BKK twice this winter and possibly next autumn. Hi , I’M coming to Thailand for 3 months in August 2017 , can u please tell me if i can get a visa for 3 months ? I have an Australian Passport . You can apply for a single-entry tourist visa at the Thai embassy or a Thai consulate in Australia. This gives you 60 days upon arrival which can be extended for an additional 30 days at a local immigration office. If you’re over 50 you could also apply for a single-entry / 90-day Non-Immigrant visa. Many Thanks for your fast reply . so i can extend my visa for another 30 days at the immigration office at the airport ??? No, not at the airport. You must visit your local immigration bureau so that depends on where you will be staying in Thailand. 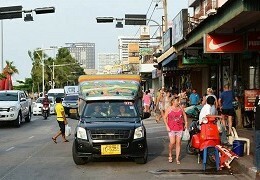 In Pattaya it’s on Soi 5 in Jomtien. The extension will cost you 1,900 Baht and you will likely have to provide some “proof of address” (rental contract if you rent a condo, hotel booking and business card of the hotel showing a proper street address and so). Best is you go a few days before your visa expires, just in case you haven’t got all the required documents. can u please tell me how much i need to pay to extend Visa for another 30 days ? I WAS TOLD IF U HAVE A MALTESE CITIZEN SHIP YOU GET 2 MONTHS VISA PLUS ANOTHER MONTH FOR FREE AT THE AIRPORT CUSTOMS . CAN U PLEASE CONFORM AND TELL ME IF THIS IS TRUE ?? I am not 100% sure but I would guess that you can apply for a 60-day single-entry tourist visa at the Thai consulate in Malta (I assume there is one?) You can then extend these 60 days for an additional 30 days at a local immigration office (not at the airport!) 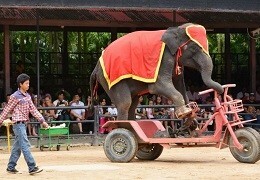 The fee for the extension is 1,900 Baht. HI, i want to visit Thailand for 6 months , I can get a visa for 3 months . can u please tell me what i need to do to extend my visa for another 3 months ?? AND how much it will cost ?? What kind of visa have you got exactly? i was going to apply for a tourist visa , i’m kinda lost not sure what to do but i really want to visit for six months . You can get a single-entry tourist visa which is good for 60 days and can be extended for an additional 30 days. After three months you could travel to Laos or somewhere else in the region and apply for another tourist visa. A multiple-entry tourist visa (METV) would be another alternative. Or one single-entry tourist visa (60+30 days), then a border run to Cambodia and get a visa-exempt stamp (30 days) which can also be extended for another 30 days, and then do another border run. I would go for the first option though. And remember: That’s 180 days in total so not quite six months. My father is sick in Thailand, I need to get another 15 day visa until we can fly him home I had a tourist visa also a 30 day extension and today at immigration they gave me another 7 days and quietly advised a visa run. I am in sattahip and have transport to go to the border is it as simple as going over the border, turning round and coming back. I have flight itinerary for 16/03/17. Yes there should be no problems. In any case take the ticket with you. Can u please give me the Name and the address of the Place where I have to extend my Tourist visa in LAOS ??? 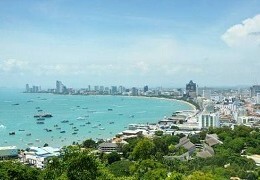 would that be the closest place to extend visa if i live in Pattaya ?? How you mean extend? You can extend an existing visa at the local immigration office on Soi 5 in Jomtien. You’ve got a 60-day stamp, right? Or is it a multiple-entry tourist visa? If you go to Laos you would either apply for a new visa there or just do an in/out to activate another entry. yes i have a 60 – day stamp can i get Another 60 – day stamp from Soi 5 in Jomtien ? No, but you can get a 30-day extension provided you got the correct documents, hotel booking receipt = proof of address etc. Fee 1,900 baht. Hi, I would like to know if it’s still possible to do a border run at the ban na kra seng border to laos. I’ve came into thailand the last years straight from the netherlands by plane. sometime with a tourist vis for 60days and sometimes just on the free visa on arrival. I’ve never done a border run in/out once before. but, this time i am flying back to the netherlands with my family a bit later then I expected. This time I came here as visa on arrival, I also extended it already and i am running out of the days i’ve still left. I don’t know that particular border crossing but as far as I know there aren’t any problems along the Thai-Lao border. You might want to post a thread on the Thaivisa.com forum and try to get input from other users who have used that particular checkpoint? Hi,I would like to know what i need to do to live in Thialand for 6 months ,what type of visa i need to apply for ?? can i enter Thailand with no visa than apply for a visa while i’m in Thailand ? No you cannot apply for a visa in Thailand, you do that at a Thai embassy or consulate abroad. I’d suggest you apply for a multiple-entry tourist visa (can only be applied for in your home country) or, if you don’t qualify for one, a single-entry tourist visa. With a single-entry visa you’d have to go to Laos or elsewhere in the region after 60+30 days (including a 30-day extension) and apply for another one. With a multiple-entry visa a one-day visa run to the Cambodian border would do in order to activate another 60-day entry. Hi, I am from the Philippines and a frequent traveler in Thailand for the past 2 years. My stay in Thailand is a maximum of 1 week per visit but I visited Thailand twice a month. As of this time, I am continuously doing the same. I did not do a border run, I fly from Manila – Bangkok – Manila. With the new visa rule, should I need to get a visa? What type of visa? Entries by air should not be affected so I guess you should be okay. But it might still be a good idea to get a multiple-entry tourist visa at the Thai embassy in Manila just to be on the safe side. Spent a month in Thailand as an Australian and after two weeks in Cambodia I am heading back to Pattaya overland.Forgot about the 15 day rule and fly out,back to Australia May 1.Visa will expire 5 days before flight home.Any suggestions apart from the ovious of flying back to Thailand and getting 30 Days. The rules were changed at the end of last year and now everyone gets 30 days at land borders, so no problem. Is ther any posiblity to get a Visa based on my Non Immi B working visa for my girlfriend with out married her? The married certificate is at the moment no option, but what about the birth certificate? Hi. 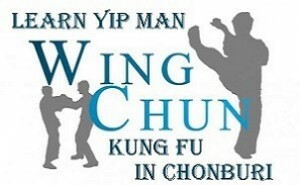 We are a family of fourentering thailand by land border from cambodia on 1st August. 1 on USA passport and 3 on NZ passport. 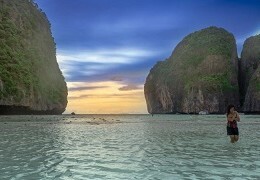 We fly out of thailand on the 22nd August so 22 days total in Thailand. So USA passport should get 30days so no problem there. NZ passport will be only 15days so will need another 7. 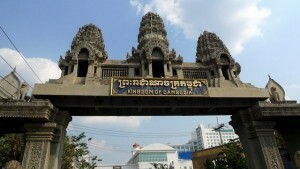 We can either go for an extension in the country or get a tourist visa here in Cambodia. Both will cost roughly the same i think. Which is easiest? Option also to spend the money to fly in and get 30days but would prefer to travel overland. Thank you. Probably just getting an extension locally is the easiest i.m.o.